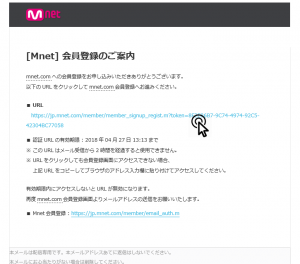 To access the Japanese version of Mnet’s website, please click here. Click the button at the top right hand corner (会員登録) to register. Once you are on this page, type your e-mail address into the box as shown below and click the blue button. This is to verify it. Open the e-mail from Mnet and click on this link. You have a maximum of 2 hours to verify your e-mail address. Fill out the information as shown below. Tick the box at the bottom and then click the blue button. Click the blue button, again to confirm. Click ログイン at the top right hand corner. 7 DREAMERS is an international fansite for DREAMCATCHER (드림캐쳐). We began in September 2016 as MINX DIARY and have since been committed to providing fans with the latest news, photos, translations, videos and more. Follow us on Twitter/Tumblr and join us! 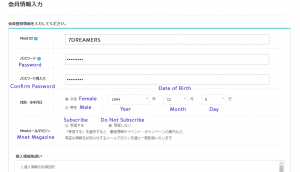 7 DREAMERS is an international fansite for DREAMCATCHER (드림캐쳐). We began in September 2016 as MINX DIARY and have since been committed to providing fans with the latest news, photos, translations, videos and more. Follow us on Twitter and join us! Copyright 2019 7 Dreamers. All rights reserved. Powered by WordPress. Theme: Suffice by ThemeGrill.